in which building strong and enduring relationships with key stakeholders can create competitive advantage. 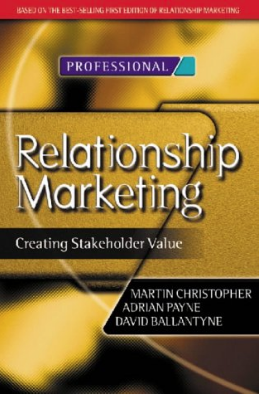 Offering a cutting edge vision of relationship marketing, this is a seminal text for all students and managers in the field. With new up-to-date case materials and examples of best practice, the book covers all the stakeholder markets – employees, suppliers, influencers, referrals, customers and consumers – for which the relationship approach is critical. It also provides crucial advice on how to develop, integrate and implement the key elements of a successful relationship strategy.